SCI Sharp Controls is an authorized repair center and distributor for Continental Hydraulics in North and South Carolina, Georgia and Virginia. SCI carries valves, flow controls, pressure controls, power units, Champ power units, vane and piston pumps, proportional valves, and motion control manufactured by Continental Hydraulics. Continental Hydraulics offers directional control, flow control, pressure control, and modular stack valve products. Sizes include NFPA D03 through D10 mount patterns with flows up to 290 GPM and pressures up to 5000 PSI. Both custom and standard valve manifold products in ductile iron and aluminum materials complete the variety of products necessary to control your hydraulic system. These valves conform to NFPA D03 and ISO 4401 mounting standards. They are available in both 3 way and 4 way styles. Up to 20 GPM 5000 PSI. SCI also carries ATEX CERTIFIED, UL, CSA, VSD03M, VSD05M , VSD08M, VS12M, V5M, DL3, D1VW, D3VW, D31VH, DG4, MD1D, DS5. Manually operated directional controls are available in D03 and D05 size products. These rugged products feature both two and three position spools, with spring centered, spring offset, and detent lever action. If needed, the operator assembly can be indexed 90 degrees to facilitate a convenient location for machine design. 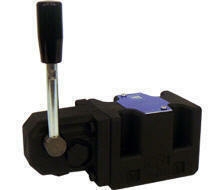 Sharp Controls also carries VMD03M, VMD05M from Continental Hydraulics. 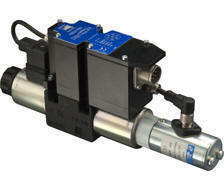 Air operated directional control valves are available in size D03 through D10 size in a variety of spools. Valves can be supplied in two and three position configurations, with spring offset, spring centered, or detented spools. The D03 valves conform to NFPA D03 and ISO 4401 mounting standards. They are available in both 3 way and 4 way styles. Up to 20 GPM 5000 PSI. 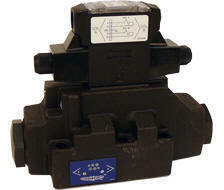 Sharp Controls also carries VAD03M, VAD05M, VA12M, VAD08M by Continental Hydraulics. 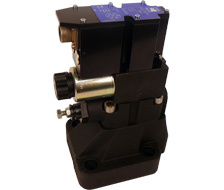 Hydraulic operated directional control valves are available in size D03 through D10 size in a variety of spools. Valves can be supplied in two and three position configurations, with spring offset, spring centered, or detented spools. 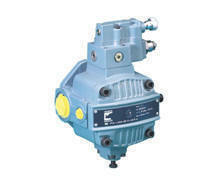 The D05 valves are available in both 2 or 3 position and various spool flow patterns. Up to 40 GPM 4600 PSI. 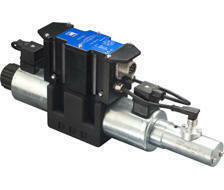 The D07 valves are available in both 2 or 3 position and various spool flow patterns. Up to 80 GPM 5000 PSI. 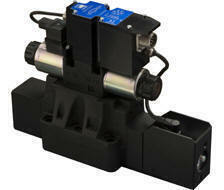 The D10 valves are available in both 2 or 3 position and various spool flow patterns. Up to 290 GPM 5000 PSI. Sharp Controls also carries Continental Hydraulic's VS5M, VS12M, VS50M, DVS50M. 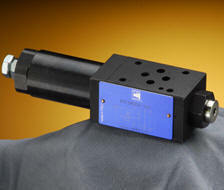 SCI will also carry Cam operated directional control valves including VC12. 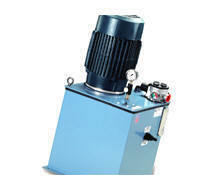 These products are configured in both parts in body and cartridge valve type of construction. Body materials include anodized aluminum as well as cast iron. There is a complete offering of pressure controls, flow controls, and check valves. Pressure are available up to 5000 PSI. 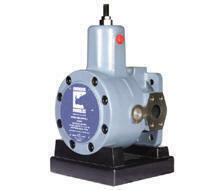 The D03 - Check, flow control, relief, reducing, sequencing, shuttle valves and counterbalance valves are available. Pressure rated up to 5000 PSI. 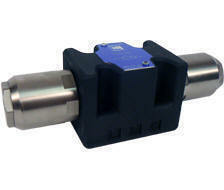 The D05 - Check, flow control, relief, reducing, sequencing, shuttle valves and counterbalance valves are available. Pressure rated up to 5000 PSI. Check, flow control, relief, reducing, sequencing, shuttle valves and counterbalance valves are available. Pressure rated up to 5000 PSI. Pressure control valve products are available in both line mounted and subplate mounted configurations. These two stage valves are available in line mounted versions in flows up to 105 GPM and pressure up to 5000 PSI. 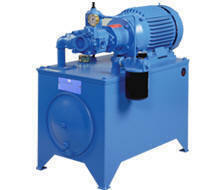 The subplate versions comply with the industry standard R06, R08, and R10 sizes and will flow up to 132 GPM and 5000 PSI. Multiple pressure selection either on-board or remotely is easily accomplished using the unique vent feature that is integrated with the pilot operated main stage. Inline Pressure Control Valve - PR*W valves are pilot operated pressure relief valves for in-line mounting with SAE straight threads. Up to 105 GPM 5000 PSI. Subplate Mounted Pressure Control Valve - PR*SP valves are pilot operated pressure relief valves for sub-plate mounting according to NFPA T3.5.1 and ISO 6264 standards. They are available in three nominal sizes with and without unloading. Up to 132 GPM 5000 PSI. Little Champ power units are designed for use in locations where space is limited and larger, noisier power units are not needed. They're ideal for applications requiring moderate fluid volume and flow rate, short hydraulic lines, and quick cycling. Little Champ power units are designed for use in locations where space is limited and larger, noisier power units are not needed. They're ideal for applications requiring moderate fluid volume and flow rate, short hydraulic lines, and quick cycling. Reservoir Capacity 3 to 40 Gallons. 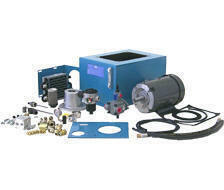 Little Champ Kits - Little Champ power units can be built at your facility at your convenience. 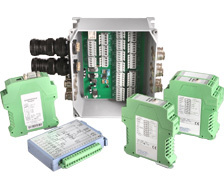 Continental will supply the complete set of components and hardware. Simply order the model code and you'll receive a complete kit to build your own power unit. Reservoir capacity 3 to 40 gallons. The Wash Down Little Champ is a simple solutioin for the Food Industry, Clean Room, Sanitary, Petro-Chemical, Outdoor, Corrosive Environments or similar applications that require pressurized wash downs. Reservoir Capacity 5 to 40 Gallons. Additional custom sizes available. 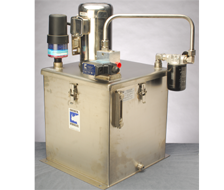 Low profile power units are well suited for industrial applications requiring moderate fluid volume and flow rate. They are an excellent solution to applications in which space is at a premium, or where the power of a NFPA/JIC-Style unit is needed in a smaller, less expensive package. NFPA/JIC-style power units are especially well suited for heavier duty, continuous-use industrial applications requiring design flexibility and rugged construction. L-shaped power units are ideal for demanding, high-production industrial applications requiring high fluid volume and flow rate. The readily removable tank cover simplifies cleaning or replacing suction strainers. L-shape power units feature flooded suction inlets that eliminate the need for the pump to lift hydraulic fluid, thus reducing wear-and-tear. Continental Hydraulics offers a wide range of accessories that can be either mounted on the power unit, or purchased separately. Everything from filters and gauges to gear pumps and electric motors can be found in the Accessories Catalog. SCI Sharp Controls is an authorized repair center for Continental Hydraulics. Continental Hydraulics' complete line of vane pumps are built to outperform and outlast sensitive piston pumps in the most challenging situations. The PVR Series - The patented Walking Ring and Hydrodynamic Journal Bearings maximize your pump life for the lowest cost of ownership on the PVR series of pumps. 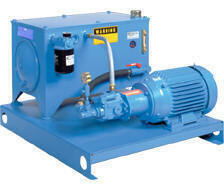 With Spring-to-Load Sensing and Horsepower Limiting Controls, our pumps deliver the control your operation needs. The PVX Series - The Ultra-Quiet PVX series of pumps have 5 different control options available to meet your system needs. The significant advances in noise reduction make it a perfect match for many applications. 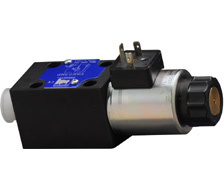 The PVER Series - The PVER pumps are a variable displacement, pressure compensated vane pump with a direct pressure regulating governor spring for fast on/off response. 3-10.7 GPM, 500-1000 PSI Rated at Full Flow. 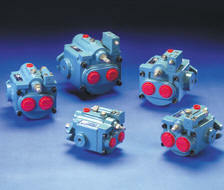 Four fully interchangeable controls make their piston pump flexible to your systems needs. With our variable volume axial piston pumps the input horsepower closely matches output horsepower in these highly efficient pumps. They are designed to closely match the Eaton-Vickers� PVB and PVQ and the Parker-Denison PV series of pumps in physical size and port location for ease of interchange and replacement. 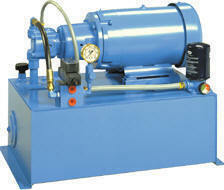 The HPV Series - This 3500 PSI pump has 4 different fully interchangeable controls to match your system needs. Simple construction for long, dependable life. Precision Proportional Valves with Matched Digital Electronics. Our proportional valves allow a smooth and precise control of the load. Available with or without integrated digital amplifiers. 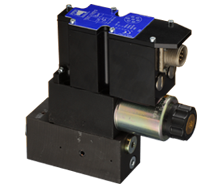 3-Way Proportional Pressure Reducing/Relieving Valves provide remote variable pressure control in the pressure port of the secondary circuit. 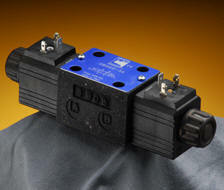 Continental Hydraulics D05 direct operated 4-way proportional valves conform to NFPA D05 and ISO 4401 mounting standards. 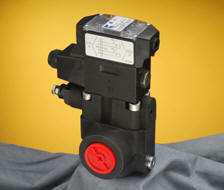 Continental Hydraulics pilot operated 4-way proportional valves conform to NFPA and ISO 4401 mounting standards. Subplate Mounted - Proportional pilot operated pressure relief valves with sub-plate mounting according to NFPA T3.5.1 R2-2002 and ISO 6264:1998 standards. 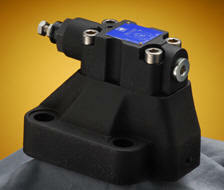 Proportional Flow Control Valves - These valves are used to regulate flow in a hydraulic circuit. Output flow is directly proportional to the input current to the solenoid. 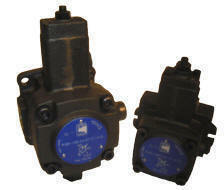 EDF03M and EDF05M are direct operated normally closed proportional flow controls with pressure compensation. Sharp Controls also carries Continental Hydraulics Directional Control, VED05M, VSD*HL, EF12C, EF10C, EDO8, D1FX, D3FX, ED05, ED05M, VED03, ATEX, EP03M-3, EMC4-L4, VEDO3MJ, DF1W, DF3W, OBE. 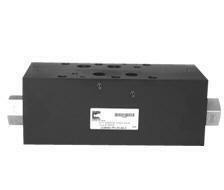 Our large selection of electronic control amplifiers make modifying or designing systems a breeze. From simple manual adjustments to user friendly software, interfacing and controlling your equipment has never been easier.